Is It Possible To Remove Acne Scars? Acne scars make us feel self conscious or embarrassed–it’s just a fact. And although they do make us feel embarrassed to look in the mirror, what we don’t know is that there’s plenty of acne scar treatments out there to remove or reduce their appearance. The typical acne scar treatment doesn’t completely remove the appearance of acne scars; many insurance providers won’t completely cover the cost of the procedure. What an acne scar treatment does, however, is minimize the appearance of scars on our skin. What kinds of acne scars exist? Many acne scars are permanent, though there are some that disappear over time. These scars consists of red, flat sports where acne lesions used to reside. Macules last for weeks before fading away on their own. 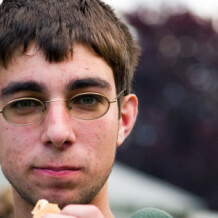 A healed acne scar may leave behind discolored skin, which is also referred to as post-inflammatory hyper-pigmentation. This discoloration can remain visible for many months after an acne lesion heals. Tissue scars generally consist of scars that appear to be enlarged and raised tissue growths within the skin. These are also called keloids or hypertrophic scars, caused by excessive collagen production within the skin. The most common acne scars are those that cause the skin to lose tissue. These scars typically appear to be sunken in, looking like small pits within one’s skin. How do I seek acne scar treatment? Undergoing a particular acne scar treatment is generally a personal decision. It’s not an absolutely necessary treatment option, however it’s recommended if you have severe scars. People generally get emotionally distressed due to the appearance of their acne scars, making them seek an acne scar treatment to remove them. The first thing to do, if you have acne scars, is to consult a dermatologist right before you undergo any kind of acne scar treatment. A dermatologist can help you find the right acne scar treatment for your skin, in addition to help you prevent future scarring. Dermabrasion uses a high speed instrument to essentially resurface your skin, removing or reducing the depth of your scars. This procedure has a healing period of a few days. Micro-dermabrasion is the less intense version of dermabrasion. In this procedure, a dermatologist or aesthetician sprays a solution of very small crystals upon one’s skin to resurface the top layer. This procedure generally needs more than one treatment and has no downtime. post-inflammatory hyper-pigmentation around a healed acne lesion. These peels are usually a doctor, nurse, nurse practitioner, or spa aesthetician. The procedure involves applying a particular chemical to your skin, which removes its outer layer. Based on the strength of the chemical, a patient may experience redness or peeling for a few days following the procedure. There are some acne tissue scars that can’t be treated with traditional acne scar treatment. Retinoic acid creams apply directly to acne scars to help reduce its appearance. It works especially well with keloid scars. Laser treatments are generally used to remove the outer layer of one’s skin. It can also contour areas overrun by acne scars or remove the redness around acne lesions that have healed. There are different kinds of lasers used in this procedure, based the type of acne scar one has. A patient may need more than one treatment session and the treatment itself usually takes several days to heal from. Substances like collagen, hyaluronic acid or fat may be used to fill areas affected by acne scars. The areas are typically depressed areas of the skin that have been severely affected by acne scarring. Fillers absorb into the skin, so the procedure needs to be repeated every few months to be more effective. There’s no recovery time after getting a filler treatment for acne. Punch excisions are a type of skin surgery that removes acne scars through cutting the scar out of the skin. This procedure leaves behind a hole, that’s usually repaired with a skin graft or stitches. Pitted acne scars generally benefit the most from this treatment. Skin grafting procedures depict a doctor placing a small piece of isolated, normal skin onto your skin to fill in a scarred area. These grafts are usually taken from behind your ear. Skin grafts are also used in conjunction with other acne scar treatments when you skin needs repairing after a particular procedure. If you’re constantly disturbed by the image of your acne scars in the morning or whenever you look in the mirror, you may want to start looking into finding the right acne scar treatment to reduce their hold upon your skin.